Every project has a unique set of requirements. Specification requirements, environmental tolerances, form factor, size, weight and power consumption, and any number of other considerations influence how a system must be built. Those are just the physical requirements. On the other side of the spectrum is standardization. By standardizing products into a few easy to produce, readily available options, cost of materials can be better controlled, the cost of design and engineering can be eliminated after the initial prototypes are finalized, and cost of production and delivery time are more predictable and consistent. The problem we see, is that both of these production systems put the customer at a disadvantage. Either the customer must spend more, wait longer and take a risk on a fully custom solution, or compromise desired performance specs for a low-cost, off-the-shelf solution that provides the closest match. Neither option is ideal. But there is a better way. 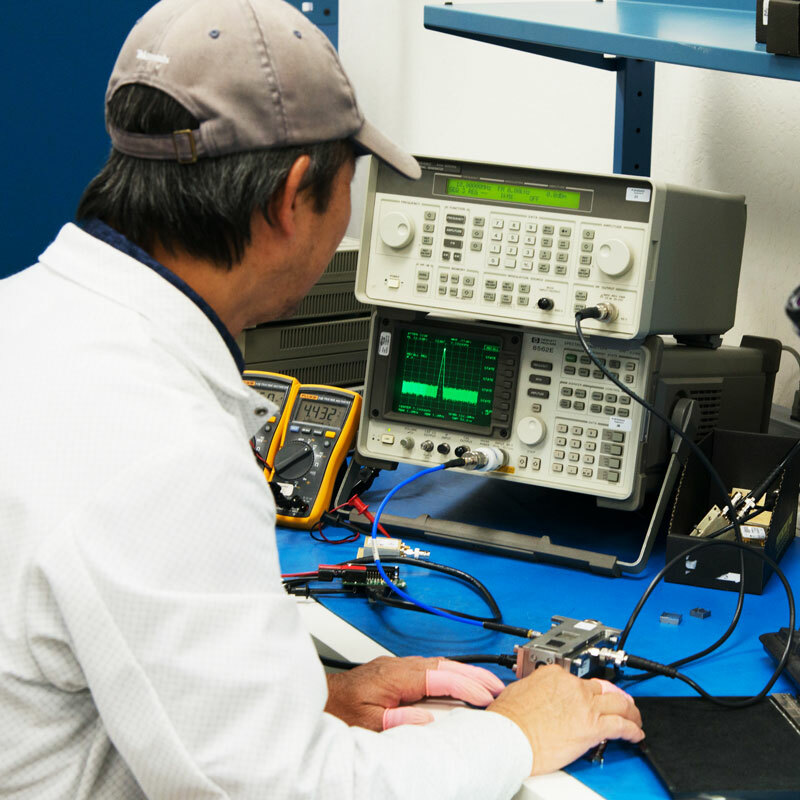 Read our new white paper and explore the advantages of a Signal Source Platform Design. We’ve developed a production model that bridges the gap between customization and standardization. EM Research products offer the flexibility to meet complex and varied physical requirements, while offering proven performance, reliability and consistency of standardized products. Platforms are built from a standardized foundation, can be configured both internally and externally and can deliver consistent performance with any configuration. 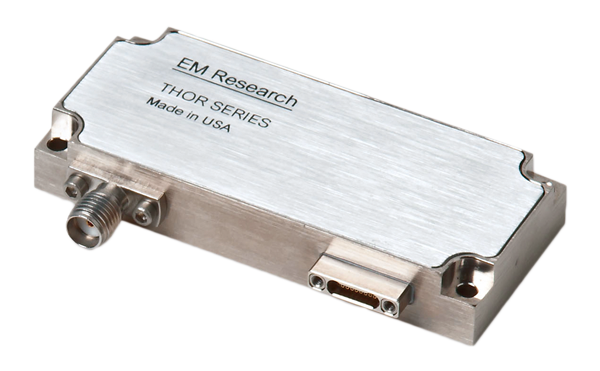 The THOR series is one of the most versatile and widely-used platforms in the EM Research catalog. We designed the THOR package with ruggedized capabilities to endure the temperature extremes, vibration and shock of an intense in-flight environment. It needed to not only be tough, but also sophisticated enough to deliver the precision necessary for advancing airborne Synthetic Aperture RADAR technologies. By striking a balance between customization and standardization, we’re able to deliver higher-performing, proven solutions, that are configured to meet clients’ specific requirements, all with accelerated production lifecycle. 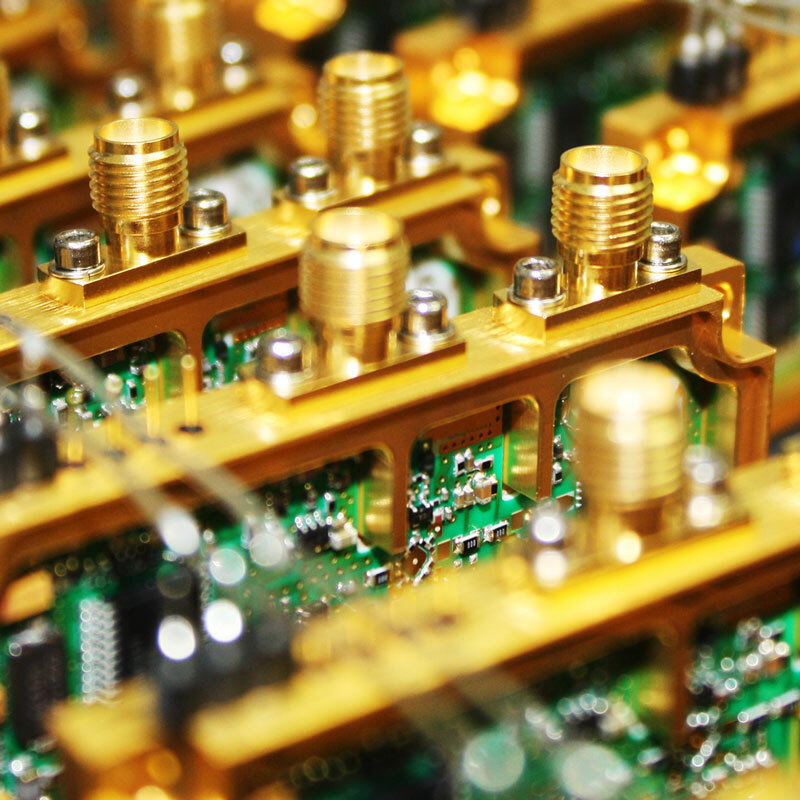 Demand is high for configurable frequency generation and signal conversion solutions. Find out the power of THOR. 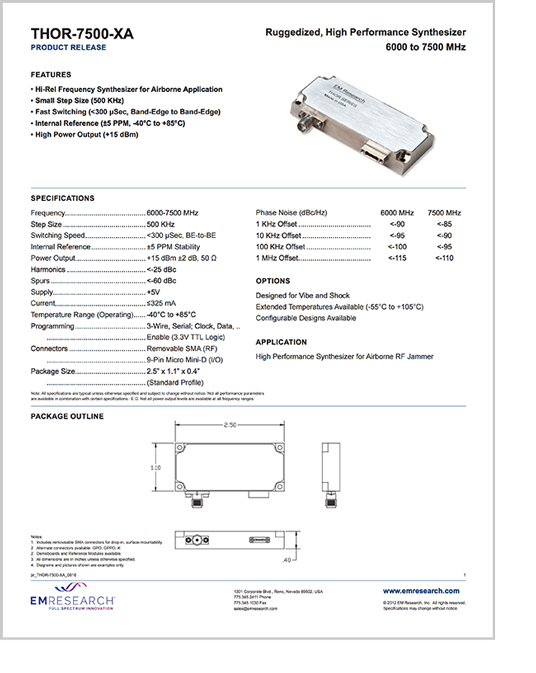 A client approached us needing a 6 to 7.5 GHz synthesizer for an Airborne RF Jammer that would operate under extreme vibration and shock conditions. 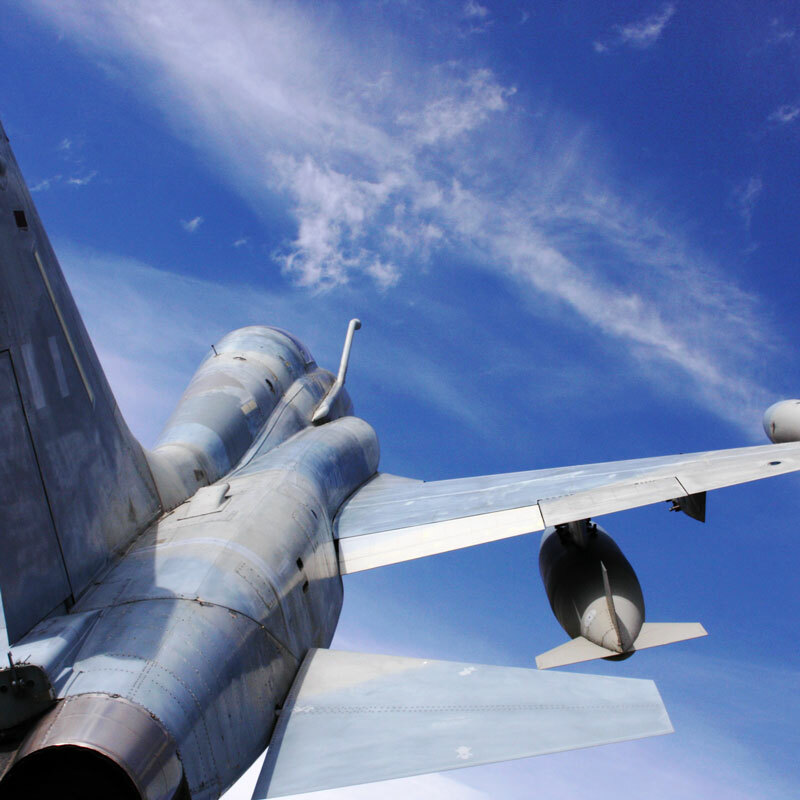 We conducted vibration analysis, determined where the part would reside on the jet, and collected requirements for moisture and corrosion exposure. We designed the product using reinforced components, anti-corrosion plating and used phase-locked loop optimization to ensure stability. After testing, the product integration proved successful and the program was awarded into production. 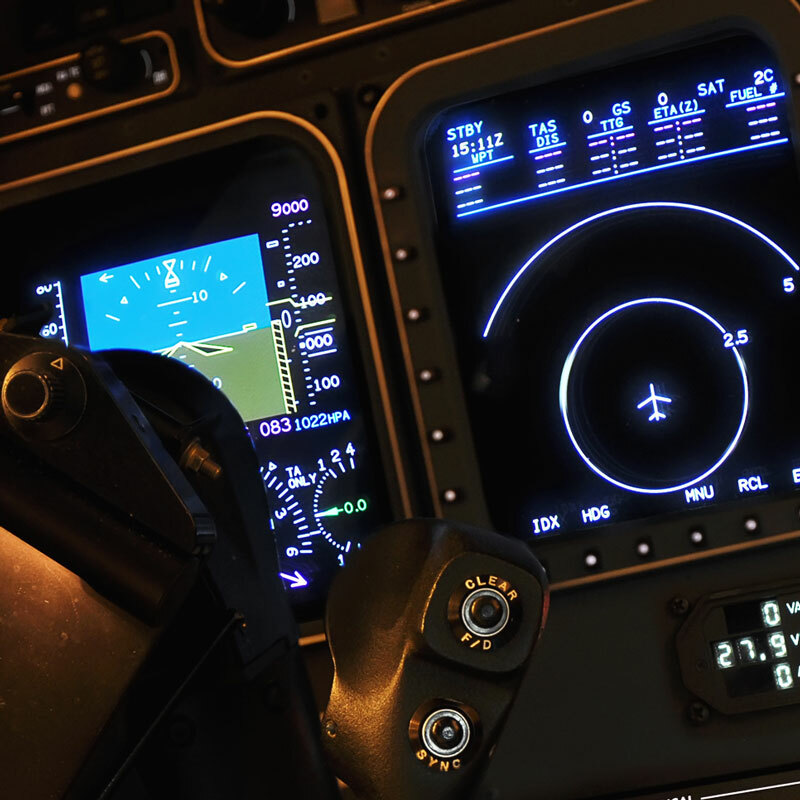 As a result, this particular model of aircraft is now equipped with more effective defense mechanisms to better protect the aircraft and its crew, and help ensure mission success. When gathering requirements for your next project, consider the benefits of the platform model. You’ll save lead time and cost, and reduce risk. The THOR series is just one example of why building from a configurable platform provides additional value. 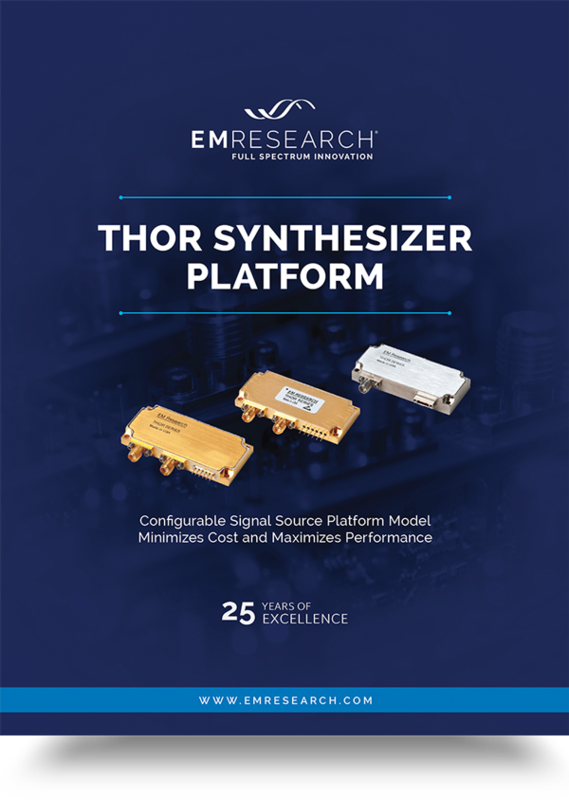 We invite you to contact a member of the EM Research team to discuss details and specifications for your system, so together we can develop a smarter, higher-performing, more cost-effective signal source solution. Interested in learning more? Let’s get in touch. please call 775.345.2411 or email info@EMResearch.com.